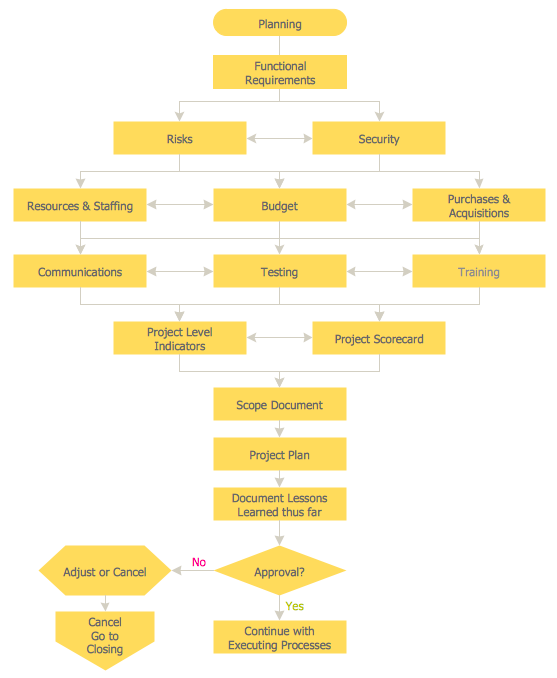 Process Flow Chart is a visual illustration of overall flow of activities in producing a product or service. 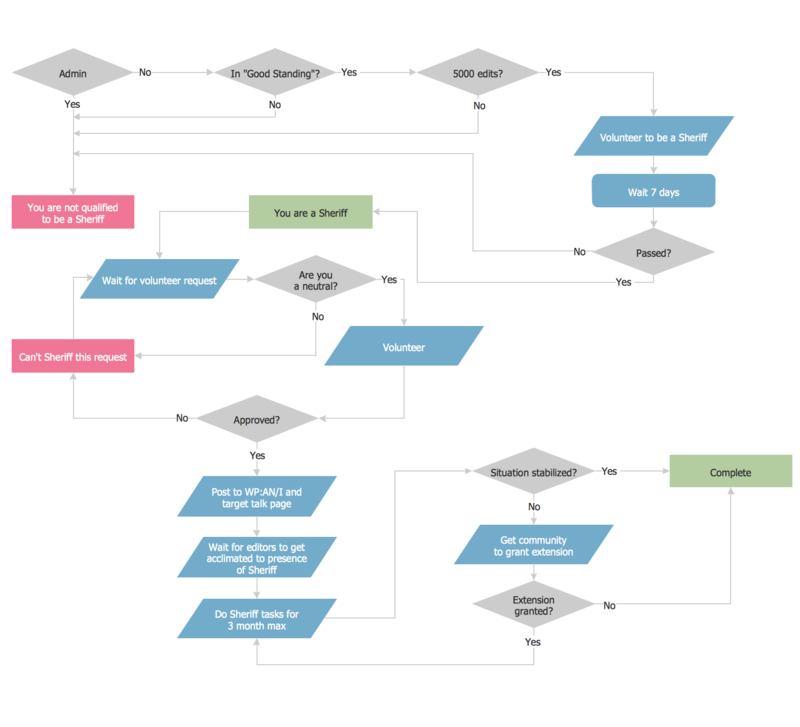 How do you make a Process Flow Chart usually? Drawing process flow charts, diagrams and maps is quite complex and lengthy process, especially if you draw free-hand. But now thanks to the ConceptDraw DIAGRAM diagramming and vector drawing software extended with Flowcharts solution from the "Diagrams" area of ConceptDraw Solution Park this process became simple and fast. A confirmation of this can serve many Process Flow Chart examples included in Flowcharts solution. Variety of Process Flow Chart examples was developed specially for Flowcharts Solution and is available for ConceptDraw DIAGRAM users from ConceptDraw STORE. 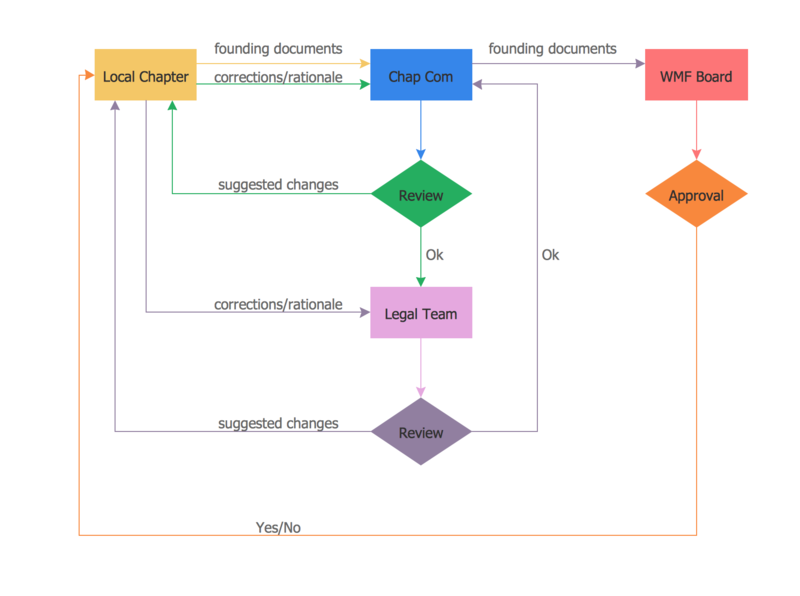 Here are represented both simple and complex Process Flow Chart examples. Each of them can be opened in ConceptDraw DIAGRAM by simple clicking on its preview in ConceptDraw STORE and then edited according to your needs. Even looking at these several examples presented on this page, you can already see what they are all bright, professional looking and attractive. So they can be bravely used on various conferences, in discussions and will have great success. These diagrams use commonly used symbols, hence they will be easily understood and accepted by your interlocutors. All used objects are available in Flowchart and Flowcharts Rapid Draw libraries also included in Flowcharts solution. The Process Flow Chart examples you see on this page were created in ConceptDraw DIAGRAM software using the Flowcharts Solution for ConceptDraw DIAGRAM Solution Park. Each example Process Flow Chart successfully demonstrate solution's capabilities and professional results you can achieve. An experienced user spent 10-15 minutes creating every of these samples. Use the Flowcharts Solution for ConceptDraw DIAGRAM software to design your own professional looking process flow chart examples, data flow chart examples of any complexity quick, easy and effective, and then successfully use them in your work activity.